Cancellations made before 1 month of the event will receive 100% refund. Cancellations made between 1 month and 2 weeks will receive a 50% refund. Cancellations made within 2 weeks of the course will not receive a refund, however 50% of course fees can be applied towards additional BMG programs. 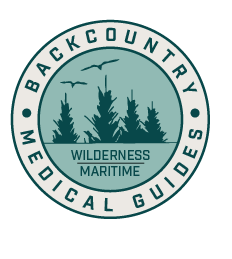 Cancellation by Backcountry Medical Guides will always result in 100% refund to all participants, as will adverse conditions and weather related cancellations. Participants are allowed to transfer to a different course if done so 45 days or more, prior to the start of the original registered course. There is a $40 Non refundable Transfer fee. Only one transfer is allowed per registration and absolutely no refunds will be granted after the transfer. Cancellations made within 2 weeks of the course will not receive a refund, however 50% of course fees can be transferred towards additional BMG programs. Participants will not be granted any refund if the course transferred to has a lower cost than the original course registered for. If the course transferred to has a higher cost, the participant is liable to pay the remaining balance.